These cords stay flexible even under the most extreme temperature. They weigh less and are 2-1/2 times more abrasion resistant than ordinary cords. 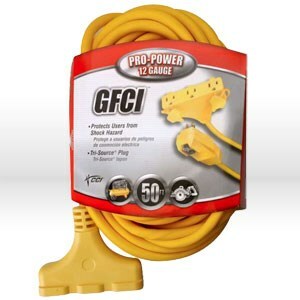 Molded, water resistant connectors with reinforced blades make these cords suitable for outdoor use.